Katy Woolley opens up a selection of classical music that has an emotional impact on her - revealing familiar and unfamiliar works in a new light. Horn player Katy Woolley has recently been appointed as the new Principal Horn of Amsterdam's Royal Concertgebouw Orchestra. 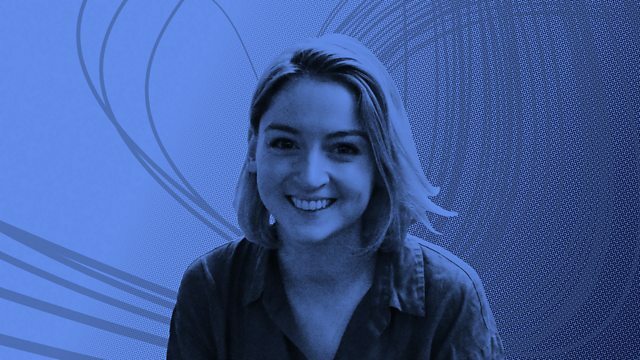 Today she takes time out from performing in orchestras all over the world to come to Radio 3's Free Thinking Festival at Sage Gateshead where she both chooses and gives her unique insights into a wide range of music. She’s especially interested in what different composers do to make us experience emotion as we listen, and discovers that simplicity is often the key to a truly moving performance. Katy's choices include orchestral thrills by Shostakovich and Brahms, suspended delight in a concerto by Ravel, an angry outburst by Vivaldi and Scandinavian voices imitating sounds of nature. And you can be sure that French horns will feature at some point during the two hours. Around 2pm Katy plays her Must Listen piece - one whose energy and intensity never fails to move her. Orchestra: Philharmonia Orchestra. Conductor: Christoph von Dohnányi. Ensemble: Ars Nova Copenhagen. Director: Paul Hillier. Performer: Walter Weller. Orchestra: Vienna Philharmonic Orchestra Members. Conductor: Georg Solti. Performer: Alexei Ogrintchouk. Performer: Leonid Ogrintchouk. Performer: Martha Argerich. Orchestra: Berlin Philharmonic Orchestra. Conductor: Claudio Abbado. Performer: Simon Preston. Singer: Galina Pavlovna Vishnevskaya. Singer: Peter Pears. Choir: Bach Choir. Choir: Ambrosian Singers. Choir: Highgate School Choir. Ensemble: Melos Ensemble. Orchestra: London Symphony Orchestra. Conductor: Benjamin Britten. Performer: Richard King. Performer: Jesse McCormick. Performer: Mari Sato. Performer: Amy Lee. Performer: Lynne Ramsey. Performer: Paul Kushious. Music Arranger: Michael Kamen. Ensemble: Queen. Orchestra: National Philharmonic Orchestra.